Bellingen Dental employs six staff, including two dentists, a dental nurse, practice manager and front office coordinator. 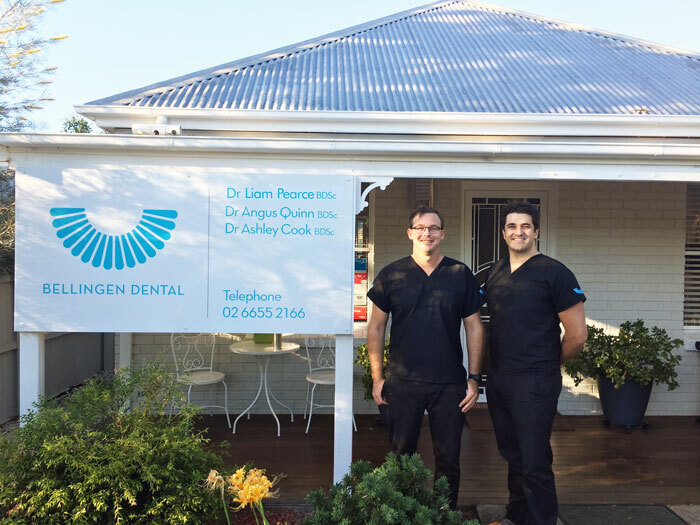 Dr Angus Quinn is the principle dentist and director of St Lucia Dental, Bellingen Dental and Dorrigo Dental. Please visit Dr Angus Quinn’s Bio at St Lucia Dental to learn more. Dr Liam Pearce is our new dentist at Bellingen Dental. Having spent the last few years working in Rural QLD and the Mid North Coast, Dr Liam Pearce is excited to join the growing team at Bellingen Dental. Dr Liam Pearce has a Bachelor of Medical Science from the University of Wollongong, a Bachelor of Oral Health, Dental Science from Griffith University and a Graduate Diploma of Dentistry from Griffith University. Meeting new people, experiencing new things, travelling and discovering new places, surfing, fishing and spending time with friends. Working with the team at Bellingen Dental and interacting with patients from different backgrounds, being able to provide them with the care they need to be free from pain and discomfort makes me smile.